Watch the Official Alien: Covenant Prologue Film! Following its debut on FX’s Legion, 20th Century Fox has released the Alien: Covenant prologue! The prologue introduces the crew of the mission as they gather for a final meal before entering cryosleep. 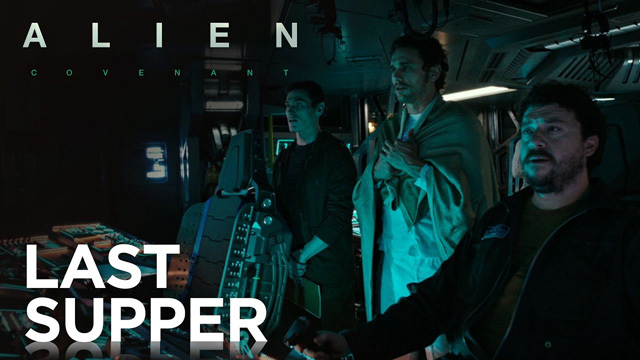 Set aboard the Covenant, a colonization ship on its way to a remote planet to form a new human settlement, the main crew (all couples) and their android, Walter, enjoy their final meal together before cryosleep. The Alien: Covenant prologue was conceived by Ridley Scott and 3AM, directed by Luke Scott, and produced by RSA Films.